The design of the Ciaz is based on the Suzuki Authentics concept which was showcased first at the 2014 Shanghai Motor Show in April and then shown in production form as the China-spec Alivio sedan. It gets an aggressive front fascia with a trapezoidal front grille that features ample amount of chrome. The sweptback headlights and the elongated hood further enhance its street presence. The side profile is a rather conservative affair but one that works for Maruti Suzuki. It features delicately flared wheel arches, chrome door handles and a strong shoulder line which works well with the forward leaning stance of the car. The Ciaz’s wide-opening doors lead to a cabin that is the most spacious in its class. From the driver’s seat, the uncluttered, European-inspired dashboard looks elegant and important controls are within easy access. Also, the wooden trim, metallic highlights around select knobs makes the cabin look premium and the general finish and quality of switchgear is good too. Sure, some plastic bits feel a bit scratchy but overall, they don’t hurt the ambience much. That said, the Ciaz carries over bits like the steering wheel and window switches from smaller (read cheaper) Marutis and that’s an association the sedan could have done without. We’d have also liked to see a touchscreen interface for the infotainment system on our top-spec Ciaz ZXi(O) test car. Interestingly, Maruti has such a system in the works that will be introduced on the ‘ZXi +’ version due in some months. For now, the simple black-and-white unit is all you get. It’s functional, easy to use and pairing our phones with it via Bluetooth was a breeze. This apart, there’s a fair bit of other equipment as well. The top-spec ZXi (O) gets front airbags, ABS, climate control, a reverse parking camera, keyless entry and push button start, a rear sun blind, rear air-con vents and leather seats as standard. Speaking of the seats, the driver’s seat is fairly comfortable but even in its lowest setting, feels a touch too high. Taller drivers may have to fiddle around a bit to find a comfy driving position. The Ciaz’s strength, however, lies in its spacious rear bench; something that the chauffeured lot will appreciate the most. There’s almost as much legroom here as in some cars a class above and even with the front seat pushed all the way back, most people won’t have to worry about their knees touching the front seatback. Headroom isn’t great but what hurts comfort is that the rear seat itself isn’t very generous – the smallish seat squab is largely to blame here and feels a bit stingy on thigh support. It’s not that the seats are uncomfortable, it’s just that in this airy and spacious cabin, the seats could have been plusher. The Ciaz gets a choice of two engines one each of petrol and diesel. The petrol engine is the K14 VVT mill that is already available in the Ertiga and in almost the same state of tune. But, Maruti engineers say that there has been considerable amount of weight reduction work that has been done to the engine. The Ciaz itself also features an increased use of lighter weight, high tensile steel that keeps the kerb weight of the petrol version to just above one tonne (1,010 kgs). The 1,372cc petrol engine delivers a peak power of 92.5PS at 6,000 rpm and a peak torque of 130Nm at 4,000 rpm. The engine, as we all know by now, is a refined unit that is inherently quiet and of low vibration. During our test drive of the Ciaz, the most likeable aspect of this engine was the amount of low-end torque available. During slow speeds, below the 20-30 kmph levels, the engine almost behaves like a diesel. The diesel engine is the more familiar DDiS engine that is originally the multijet from Fiat. This is the 1,248cc diesel burner that is available across many models from Maruti and even Tata and Fiat models. This engine felt familiar during our test drive too and continues to surprise with its remarkably refined performance even in the Ciaz. The mill delivers 90PS of power at 4,000 rpm and 200Nm of torque at a low 1,750 rpm. There is a bit of turbolag initially just like it is in other models with this engine, but there is enough pulling power just past 1,200 rpm. Both the engines are paired with a 5-speed gearbox. The petrol engine version also gets a 4-speed automatic, which was available for a test drive. What is missing in the smooth shifting manual transmission is a bit more shift feel. The cabin is quiet in both the petrol and diesel versions, with extensive use of sound deadening and noise dampening aids. The improvements to the engines and the weight reduction measures manage to make the Ciaz one of the most fuel-efficient sedans with a claimed mileage of 20.73 kmpl for the petrol and 26.21 kmpl for the diesel (ARAI rated). The Maruti Suzuki Ciaz was launched with high hopes and it manages to live up to it. This car doesn’t try to be everything, it is aimed at comfort and delivers that in good measure. Yes, it’s not a handler and the looks aren’t going to make you stop and take notice either. 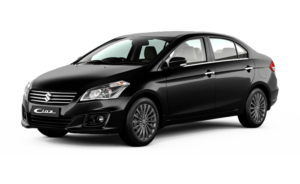 However, for most buyers in this segment who want a well specced car with acres of room, fantastic ride quality and frugal engines, the Maruti Ciaz is difficult to beat. When you factor in the pricing, which is a good Rs. 1 lakh plus cheaper for certain variants over the segment leader Honda City, you realise that the tradeoff in brand image might be worth the money saved for some. The Maruti Ciaz doesn’t come across as exciting but is certainly a very practical choice in the overcrowded C-segment. It’s also bigger and roomier than the previous model, but uses high-strength steel and aluminium in its structure to reduce weight. The big-selling axis of the range, the 220d, also gets a radical new all-alloy four-cylinder diesel engine, the upshot being a car that weighs 100kg less than the model it replaces. There’s also a 350d, with further versions to come. As suggested by the numerous spy shots we received throughout 2015, the new E-Class can be described as either a larger C-Class or a smaller S-Class. The front and rear fascia are similar if you ignore the proportions, while the profile features pretty much the same swooping roofline, muscular beltline, and similar character lines. Around back, the shape and size of the taillights differ only slightly from its siblings. The cluster, on the other hand, is similar to the C-Class, having a three-tier configuration with the reverse lights at the bottom. More differences can be spotted in the shape of the trunk lid and the chrome trim above the license plate, as well as in the bumper. The apron is arguably the only thing that is significantly different than that of the C-Class and S-Class. When viewing the E-Class from the side it becomes quite obvious that Mercedes aimed for a more cohesive design for its sedan lineup. Here, however, the E-Class is more similar to the C-Class than the S-Class, as both the front and the rear fascia are raked at almost identical angles. The roofline is also nearly identical, but the C-pillar is thicker, the rear doors longer, and the rear windscreen has a sportier angle. What sets the E-Class apart is its upper character line. While on the C-Class and S-Class it runs underneath the front door handles and goes down even further toward the rear fenders, on the E-Class it runs through both door handles and remains almost parallel with the beltline toward the taillights. Also, the lower character line, although identical as far as orientation goes, is more subtle. These two features make the E-Class seem less bulky than its siblings and give it a more elegant appearance. Willkommen, the E-Class’ fantastic cabin invites you in. Although changes are not a world apart, the interiors of the E-Class are top-notch and you can bask in the sense of luxury. Built quality is tank like and the light colours along with the front and rear panoramic roofs make the cabin very airy. While the dashboard remains the same, out go the wood inserts, being replaced with silver and chrome bits. The centre AC vents are smaller with an analogue clock sitting right between them (instead of the hazard button which now shifts down). The old car had the clock in the instrument cluster which had five rings, the new one has only three and thus the cluster is not confusing to read on the move. The multi-information display shows vital data with interesting colours, like the Eco Display which gathers data about how long you have been accelerating or coasting. The launch edition gets some extra bits and is offered in limited numbers. You get a 3-spoke AMG steering wheel while the regular model will be offered with a 4-spoke unit. The E-Class being a Mercedes is loaded to the gill and you get a plethora of unending features including ambient lighting with 5 stage intensity control, electric sunblinds, reversing camera with front and rear parking sensors (PARKTRONIC in Mercedes speak), 3-zone automatic climate control, electrically adjustable seats with lumbar support, programmable 3 way memory for steering and mirrors, rain sensing intermittent wipers, adaptive main beam assist, brake pad wear indicator, etc. You get the usual Mercedes safety tech too like front, side, pelvis and curtain airbags, PRE-SAFE, NECK-PRO, etc. The E-Class gets an updated infotainment system with higher resolution 5.8-inch screen offering navigation capabilities. Two additional buttons have been added near the COMMAND controller which turn on and turn off the screen. This is where the E-Class gets its 220d badge. This is an all new four-cylinder engine which replaces the 2.1 block that powered the previous E-Class. This engine produces 194bhp@3800rpm and 400Nm@1600rpm. Power is sent to the rear wheels via a nine-speed AT. The newness of the engine shows in its levels of refinement. While the old mill had a bit of vibration and gave out that typical diesel clatter, this one is a lot more refined and quieter, especially on the go. Gas the throttle and you get a linear surge of torque available just past the 1600rpm mark. Keep going and you will be into the three digit speeds much faster than you expected. In fact, for what is essentially a five-metre long luxury sedan, it is deceivingly quick and this is aided by the excellent NVH insulation which filters out most external noises and to a certain extent, numbs you to the sensation of speed. This linear surge is no doubt aided by the nine-speed box which shifts smoothly and works without hesitation to keep the engine going in the torque band. It is not as sporty as the units found in its rivals, but then again, sportiness was never high on the E-Class’ priority list and this box works just fine for everyday driving. Our testing data revealed that the E-Class dusted the 100kmph sprint in 7.81 seconds which is impressive for such a large vehicle with a four-cylinder engine. 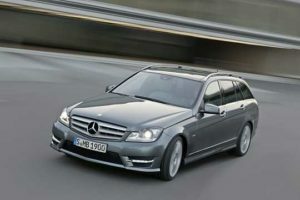 This E-Class gets a regular suspension with steel springs as compared to the 350d’s air suspension. But this is hardly an issue as this one works just fine. It gives the E-Class the ability to smoothly glide along on the road, absorbing bumps and imperfections like they were small rumble strips and in fact you would have to drop the car into something pretty hard to really feel and hear it in the cabin. The setup may be oriented towards comfort, but the car still handles decently at speed although that’s a relative term due to its size and weight. The E 350d is offered with air-suspension for all four wheels and this multi-chamber system delivers quite an impressive experience. The ride quality is also helped by Mercedes India’s decision to use 17” rims instead of 18” or 19” wheels, as the taller sidewall helps improve comfort while reducing chances of tyre failure.At low speeds, bumps and potholes seem to just vanish when in Comfort mode. But, drive just a bit faster and there is a notable amount of up-and-down movement which feels troublesome. In Sport mode the suspension firms up such that there is less body movement without compromising comfort distinctly, and as such would be the ideal mode to cover long distances in. In Sport+ the ride is much firmer, such that you can feel the tarmac’s unevenness clearly. While the E feels tidier in the sportier modes, the sense of its length and weight when hustled through corners reduces, but doesn’t disappear. As you dial up the modes the steering weighs up and the gearbox becomes more eager. When driven fast through bends, the E-Class is surprisingly neat for a car of this size, but it isn’t much fun. For poor road conditions, the air-suspension equipped diesel also has a Lift mode to increase ground clearance by 15mm. Standard safety features for all 2017 Mercedes E-Class models include antilock brakes, stability and traction control, a driver drowsiness monitor, front-seat side airbags, front pelvic airbags, side curtain airbags, a driver knee airbag, and the Pre-Safe system that cinches down seat belts, adjusts the front passenger seat and closes windows when a collision is imminent. Also included is Mbrace telematics system, offering smartphone integration and web-based apps that include remote controls, driver monitoring and emergency services. The convertible additionally features automatically deploying rollover hoops. Mercedes-Benz also has some unique features for the redesigned E-Class, such as a new communication system that networks with other Mercedes vehicles to alert nearby drivers of possible hazards. A Pre-Safe Sound system is also included and reduces hearing damage by emitting a specific noise before a collision that triggers a muscle reflex in the inner ear to reduce hearing damage. An optional Pre-Safe Impulse Side system detects impending side impacts and inflates a chamber in the front outboard seat bolsters to move the occupant farther from the door. Safety options include a rearview or surround-view camera, rear-seat side airbags, forward collision warning and mitigation, lane departure warning, lane keeping assist, active or passive blind-spot monitoring with rear cross-traffic alert and automated parking systems. The Pre-Safe Plus option protects passengers in a similar fashion as the standard Pre-Safe system but is activated by impeding rear collisions. It also applies the brakes to prevent secondary collisions. People who drop Rs 50 lakh on a car know exactly what they want out of it. In the current class, the Jag XF provides the style. Enthusiasts drool over the BMW 5-series. Technological converts hanker after the Audi A6. Even the bargain hunters have their choice in the Volvo S80. The E-Class sticks to what it does best – give the impression of being a tank. It is a throwback to its glory days of the W123/4 when the E really was indestructible. If you want a comfortable executive saloon that you might drive occasionally and that has impeccable engineering, put your hard-earned Rs 45 lakh down on the E250 CDI. Honda has always been great with interiors and the City is no exception. The new car keeps the best bits of the City’s interiors intact while trying to pile on the premium quotient and tech. The first thing that will catch your eye inside the new City is the new ‘Digipad’ infotainment system. Available in V, VX and ZX trims, this system is equipped with a 7.0-inch capacitive touchscreen that has great resolution, legible icons and is pretty easy to operate. The system also offers new features like Wi-Fi support (use your smartphone as a hotspot and it will connect to it), MirrorLink smartphone integration, navigation with real-time traffic data, 1.5GB of onboard storage, two USB slots, two microSD card slots and even an HDMI port. Connectivity is the buzzword for customers today and Honda seems to have kept this in mind. The City’s premium quotient has been upped a bit with a greater use of soft-touch plastics and chrome trim on and around the dashboard. The City’s traditional strengths like the comfortable seats, rear seat space and flat floor remain unchanged.On the safety front, dual front airbags, ABS, EBD and ISOFIX seats are standard across the range. The top ZX variants get side and curtain airbags as well, but at this price point, perhaps ESP or traction control could have been included too. Mated to the 1.5-litre petrol is a 5-speed manual and CVT automatic transmission. The manual gearbox is slick and fun to use while the CVT is good only for city usage and if you push it hard, it gets noisy. The CVT version comes with steering mounted paddle shifts that gives you better control. Honda claims 17.4 km/l of mileage for the petrol engine but you can get around 10-13 km/l in real world conditions. The 1.5-litre i-DTEC offers decent performance and good low end acceleration. You don’t feel that typical diesel lag. It comes with a 6-speed manual transmission and the best part about the oil burner is its fuel efficiency which is claimed to be 25.6 km/l and you can easily extract 18 km/l in mixed driving conditions. Safety has been upgraded and is one of the key points of the new Honda City. The entire lineup now gets ABS, EBD and dual front airbags as standard. Rear ISOFIX child seat mounts are also standard across the range. The top of the line ZX variants now also feature side and curtain airbags, which brings the total tally to six which is now on par with the rivals. The Honda City was coming under a lot of pressure from the Maruti Ciaz, which has managed to outsell it for quite a while now. So with the facelift instead of making the City more affordable, Honda have gone even more premium and have added lots of features especially in the top ZX variant. Prices for the updated City start at Rs 8.50lakh and go all the way up to Rs 13.57lakh for the top ZX diesel variant. This makes it way more expensive than the Ciaz. But as a product there is lot going for the City. The cabin is well thought out, and its combination of humongous space and well-designed seats make it one of the most comfortable sedans in the segment. Then there is the equipment list, which can rival cars from the segment above and the fact that you get more safety equipment than before, just adds to the package. Surely the updated Honda City won’t appeal as VFM proposition, but as a package it is still a car you can’t go wrong with. 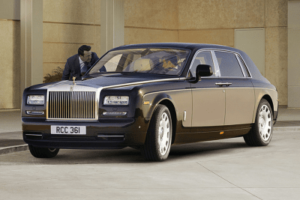 The Rolls-Royce Phantom is one of the most customizable vehicles on the market; the automaker claims there are over 44,000 hues to choose from. Once you choose from the almost endless exterior and interior color and style combinations, you can have your door sills, glove box lid, and headrests customized with the text of your choice. Your Phantom’s Spirit of Ecstasy hood ornament can be gold plated, in solid silver, or illuminated. When you are done choosing from a host of different veneers, Rolls-Royce offers some of the most luxurious options in the industry: a humidor in the glove box, an electric rear curtain, lambswool floor mats, a small refrigerator that holds two champagne bottles, milled aluminum cup holders, and a cabinet to hold your glassware. Once you are ready to exit from the lap of luxury, Rolls-Royce has you covered with more luxurious options: a beautifully handcrafted picnic basket, portable leather trimmed insulated bag, leather-trimmed luggage compartment, wooden luggage compartment floor, a six-piece handmade luggage set, and a bumper protection apron. In what would be typical of a facelift from other manufacturers, what we see with the Phantom VIII is a lot of the same, but plenty of new at the same time. Overall, the car still has the same generally boxy design and, if you were to look at just a silhouette of the VII next to the VIII, you wouldn’t be able to spot the difference. But, what’s important to remember here is that the little subtleties make all the difference. Rolls took the time to construct the aluminum body in a way that closes the gap at the seams as much as possible, with the only noticeable gaps in the body resulting from the doors themselves. All other seams between body parts have a clearance so tight that you can’t see them at a glance or have been integrated in such a way that you can’t tell they are there. The other big note on this front is the way the grille is now integrated into the nose. Instead of being a separate unit, it’s part of the front fascia. To the untrained eye, the front end might not look all that different, but there’s actually a lot going on here. First off, those two central vents below the grille have been replaced by a slightly recessed area for the front license plate, while the air dam and corner vents are all now one big piece with a honeycomb mesh for extra character. Those weird horizontal driving lights from the outgoing model have also disappeared and in their place is a smaller set of vents, one on each corner, that provides a look of depth and some mild aggressiveness – something that could attract the younger wealthy crowd. As we move higher in the front end, you’ll notice that the nose itself sits higher, raising the Spirit of Ecstacy emblem higher than on the outgoing model. The headlights are smaller and sleeker than before, and also recessed into the fascia by a couple of inches. Inside, them, you’ll find integrated LED running lights as well as the “most advanced” laser headlight system that is said to project light nearly 2,000 feet down the road, illuminating even the darkest of nights. Finally, the sharp body lines of the hood have been moved further inward, and the hood has a taller presence, really accenting the new grille quite nicely. Moving over to the side profile, the changes are a lot less obvious, but they are there. For instance, the slope to the rear end, where the rear windscreen is, is designed at a larger angle, which should make it a little more aerodynamic. You can’t even make out the fuel filler door in the C-Pillar, and the stationary glass behind the rear door is now a bit larger at the bottom with rounded corners. The chrome trim here has also grown a bit wider, and matches the door handles, but isn’t all the gaudy, really. The lower half of the body did actually change quite a bit. For instance, those dramatic body lines below the belt line have been smoothed out and are barely visible. This adds a bit of mystery to the side, but also gives a sense of cleanliness. Further down, the side skirts are now the same height from front to rear, and a gentle body line runs from the front wheel well toward the rear, where it blends into the body just past the central door seam. The wheel wells are also significantly toned down, now featuring just a light defining the line at the top. It’s a very attractive look, indeed. Rolls-Royce’s signature ‘coach doors’ or rear doors hinged at the back, open wide for easy access into a cabin that is truly fit for a king. Seated in the rear, I shut the electrically operated doors with the touch of a button (the chauffer can do it from the outside as well) to hermetically seal me off from the outside world.You can spend the whole day inside a Phantom just soaking up the unadulterated luxury oozing out of every pore. There’s richness in every small detail; right from the deep-pile carpets, the exquisitely stitched leather trim and fine-grain wood, to the soft leather seats with the feather-filled headrests. Seat comfort is something you won’t complain about even in the standard-wheelbase Phantom, which has an abundance of legroom, while the extended version has an excess of it to the point that I can sit with my legs fully stretched-out. You sit nice and high in the sumptuous rear seats, which can be amply reclined. The sofa-like seats will heat or cool your backside and even massage you. This latter function is what I discovered accidentally and in the process also exposed a minor design flaw. My knee would knock a button on the switch panel on the door, which inadvertently activated the massage function. This kept happening a couple of times which made me wonder why the cluster of switches couldn’t have been moved forward. Koehn has received this feedback and is well aware that the switch placement, directly in line with a passenger’s knee, is not optimal but says. “Moving it forward would make passengers stretch to reach them.” And that’s when you realise how much thought has gone into making the switchgear fall easily to hand. You don’t have to stretch or bend to reach any of the switches (and crease your suit or gown by doing so) but simply sit back, close the doors via the button on the C-pillar, and activate the air con, stereo and all the seat functions via the rotary dial cluster in the centre console of the arm rest. Even the small table and individual entertainment screens flip down with press of an easily accessible button. The switches themselves are wonderfully damped, as are the traditional organ-stop plungers that control the air flow. You also get a coolbox complete with a pair of champagne flutes. Upfront, the seats aren’t as lavish as the back but they are hugely comfortable and come with a wide range of adjustments. For the first time on a Rolls, the front doors too can be electrically closed with the touch of a button, which relieves the front occupants from the undignified task of stretching out for the door handle. The Y-spoke steering wheel is as massive as ever but now comes with a plethora of buttons. Also giving a nod to modernity is the digital instrument cluster, which replace the analogue dials, and a heads-up display for the driver.The ‘starlight’ roof is a special Rolls-Royce feature that only covered half of the roof in the previous phantom, but now on the new car it runs all the way to back. The extended Phantom has a whopping 1,344 fibre optic lights randomly scattered in the headliner. The electrical architecture allows each of these lights to be individually controlled, allowing Rolls-Royce to give you your own customised constellation! But while Rolls-Royce can promise you the stars, it can’t give you the sun or the moon. There is no sunroof, not even as an option, in the new Phantom. All four variants of this coupe series are fitted with a powerful and dynamic 6.7-litre petrol engine, which comes with a displacement capacity of 6749cc. It is integrated with twelve cylinders and provide a power packed performance along with decent acceleration and pick up. This engine has the ability to churn out a whopping power output of 453bhp at 5350rpm in combination with a hammering torque of 720Nm at just 3500rpm, which is rather decent for Indian road and traffic conditions. This powerful and strong engine has been intelligently mated with eight speed automatic transmission gear box, which makes sure that the drive and ride for driver and passengers is smooth and inspiring. This engine makes use of direct fuel injection and is driven by wire design via valvetronic technology. Its power plant is incorporated with an advanced direct injection fuel supply system, which allows the vehicle to deliver about 4.7 Kmpl in the city traffic conditions. At the same, under standard driving conditions on the bigger roads it gives out 9.5 Kmpl approximately.This powerful 6.7-litre petrol engine has the ability of churning out a maximum power 453bhp at 5350rpm in combination with a peak torque output of 720Nm at just 3500rpm, which is quite good for Indian road and traffic conditions.With the help of an eight speed automatic transmission gear box, this motor allows the vehicle to attain a maximum speed in the range of 240 to 250 Kmph, which is rather incredible for this segment. At the same time, it can cross the speed mark of 100 Kmph in close to 5.9 seconds from standstill that is rather thrilling for the occupants sitting inside. The wheel is a tad thicker than before, and there’s fully electric power steering, but the mode of operation remains the same for the chauffeurs among you: slide the delicate little column stalk into ‘D’, apply the merest suggestion of pressure to the throttle pedal, and ease away in such a manner as not to rustle the copy of Pork Belly Futures Digest that’s being mulled over in the rear compartment. Otherwise you’ll be mulling over your P45.And it does actually handle. Or more accurately it can handle, should you elect to lean on it. But even with a (heavily revised) version of Rolls’s 6.6-litre twin-turbo V12 – it’s 6.75 litres in capacity here, and makes 563bhp – it feels inappropriate to trouble the power reserve gauge any more than is strictly necessary (no rev counter in here, of course). Which, given that you’re surfing along on a huge wave of torque, 664lb ft from 1,700rpm, is mostly never.The essence of a Rolls-Royce is a driving – travelling – experience that is beyond even that summoned up by the plushest Mercedes S-Class or BMW 7 Series. You don’t notice things as humdrum as gearchanges (the Phantom uses ZF’s silken eight-speed transmission), and you only notice really awful road surfaces. If you’re in the back, you don’t notice much at all. Which is the point: in a Phantom, silence isn’t just golden, it’s omnipresent. Phantom has a unique and advanced body frame which is made of 500 separate parts attached. Each part is made of aluminium which is light and phenomenally strong. Apart from its strong built; Phantom has many other quality features like front airbags, side airbags, overhead airbags, knee airbags, seatbelt pretensions and anti-whiplash system all aiming at giving a better security to the passengers while on the road or in any unfortunate incident.The front and the rear wheels of Phantom have ventilated disc brakes with brake assist and traction control. The Tata Hexa has been a much awaited vehicle from Tata and had the industry talking before its launch. It was earlier shown as a concept at Geneva Motor Show in 2015. 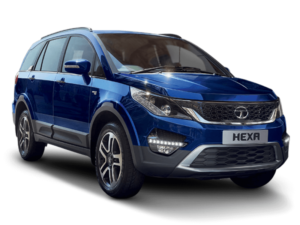 The Tata Hexa is one of the successful vehicles from Tata in recent times and has successfully wooed buyers as well, with some intelligent positioning. We review the Tata Hexa in detail and tell you whether it is worth buying. Read further. Even though it replaces an MPV, the Hexa doesn’t look like one. Tata has given it a muscular and aggressive styling. The bonnet is heavily sculpted, there are smoked out projector headlamps, the grille is wide & highlighted with chrome and the bumper integrates LED daytime running lights. You will notice flared wheel arches on the side profile along with the neat looking 19-inch alloy wheels. These are the biggest wheels available in this segment. The black cladding adds to the rugged appeal of the Hexa. The side profile might remind you of the Aria with its silhouette but Tata has cleverly reworked some details to cover the MPV proportions. The rear profile gets a heavy dose of chrome on the tail gate with LED tail lights while the bumper gets a skid plate and dual exhaust setup. The tail section might look a tad simple compared to the rest of the styling but it will grow on you with time. Let’s first talk about what’s changed the least on the inside – the space. It’s a big car so it has a big room, right? Well, not quite. Its beefy body-on-frame construction eats up a lot of space when compared to a similarly-sized SUV with a monocoque chassis. Still, there’s more than ample room for five; it’s just that the last row is best for two people only. Boot space is surprisingly good with all the seats in place; you could get a mid-size suitcase in here, although you will have to haul it high up over the tall sill. Similarly, access to the cabin is quite a climb up and across the wide door sills. On to the seats, and at the front, you’ll be impressed at how well Tata has crafted the big chairs. The contrast-stitched faux leather feels suitably rich. The cushioning, which uses multi-density foam, is a touch too firm but has the bolstering just where you need it. Our only small grouse is the ‘lump’ around the H-point of the seat which, rather than adding to the support, feels like you’ve sat on your mobile phone. The thick A-pillar can initially cause a blind spot but you learn to look around it. The car’s size and the high driving position can be a little overwhelming until you get used to it. If you want to replicate the comfort of the front seats in the middle row, you can do so on the top-spec XT trims of the Hexa with its two individual chairs. The only downside of these, apart from reducing the seating capacity to six, is that they don’t tumble forward and this limits maximum boot space; also, it’s easier to just walk between them to access the back row. A conventional split-folding bench comes as standard, but even here, accessing the third row isn’t easy. It has to be slid all the way back to tumble forward properly, and then too its immense weight makes it quite a task. Moreover, the Hexa’s huge rear wheel arches make access tricky, to begin with. Still, when in place, even the bench seat is really comfortable, supportive and spacious, although the middle passenger has a large central AC console to deal with. What does give you that ‘executive’ feeling in the middle row is the window shade that can be raised to keep the heat out quite effectively. Finally, the third row – it’s quite a comfy place for two. The high floor chassis means you sit a bit knees-up of course, but it’s not as bad as some other ladder-frame SUVs. The advantage of the MPV-like squared-off rear is that head and shoulder room isn’t compromised in the third row. In fact, you can even recline the backrest, and there are also adjustable headrests. There are, of course, air-con vents for all three rows, but the blower is really quite loud, and when fully cranked up it, can overpower even the engine noise. So, space and comfort are a highlight in the Hexa but you’ll agree that what really wows you about the interior is the quality of materials. It’s on a level thus far unseen from Tata Motors, and for once has a design to match. The dashboard isn’t a dull collection of flat surfaces anymore. The central stack has a variety of colours, textures and surfaces; here too, like with the exterior, excessive chrome has been substituted with other finishes, like piano black and dull grey plastics. Panel gaps are impressively few and even so, the dark colour scheme helps conceal them. The quality of the switchgear is also rather good (there are even knurled knobs and door locks), apart from a few places like the steering control buttons which feel tiny and fiddly to use. The upper glove box also has a terribly tricky-to-use unlock button for its latch. While the Hexa’s engine has been derived from the 2.2-litre unit seen in the Aria, in its Varicor 400 guise it has been extensively revamped. Girish Wagh, Sr Vice President, Product Planning at Tata Motors, explained that the block, head, intake and turbo systems have been revamped to deliver higher power and torque density and greater levels of refinement. The four-cylinder engine makes 156hp and 400Nm of torque which is channelised through a 6-speed manual or a 6-speed automatic. Upon start up, the engine feels reasonably quiet; although, getting going smoothly from standstill requires some getting used to as the light clutch has a very sudden bite. Also, considerable effort is required to change gears and slotting into fifth required plenty of guess work, too. Easy drivability is a strength of this engine, with the turbo spooling up nice and early, letting you amble along in one gear. On the move you can haul the rev needle to the 4600rpm limiter if need be. The performance through that rev range is adequate, not exciting; no doubt, weighed down by the Hexa’s considerable 2280kg kerb weight. On the move the engine remains reasonably quiet till around 3200rpm. Using Bosch’s ESP 9.0, the Hexa packs traction control, hill hold control and hill descent control. This combined with engine modes and on-demand all-wheel drive has allowed Tata Motors to offer drive modes – Auto, Dynamic, Comfort and Off-Road. For instance in Comfort, the sudden spike in torque is softened for a smoother drive experience, and the gentle responses are also used to help improve fuel efficiency. In Dynamic mode, the performance of the engine is unhindered and the ESP intervention is also delayed. While in other modes the all-wheel drive mode is engaged only when required with as much as 45 per cent of the torque being sent to the front wheels, in Off-road mode all four wheels get drive consistently. The ESP is also recalibrated in this mode to suit loose surfaces. The combination that really impressed on our first drive was the one equipped with the automatic. The 6-speed gearbox, originally a GM design, makes the best of the engine character, shifting before the 3000rpm mark to make the experience all the more easy going. The shifts from the ‘box aren’t lightning quick, but in normal driving conditions it always seems to know what you want and hence feels natural to drive. In Sport mode the gearbox shifts down aggressively to keep the engine rpm in the 3-4000rpm range for maximum punch. You could even control the gear shifts by tapping the gear lever forward or back. Hexa is offered in manual six-speed and automatic six-speed options. While the former comes with “Super Drive Modes” for surface-specific options, the automatic Hexa was tested for this review. And it was an absolute breeze. The Hexa automatic offers a no-fuss, no-fancy drive with power coming up in a decently linear manner. No, it is not zippy but then, it would be unfair to expect a car this big to whizz around in city traffic. What is good though is that it moves in a leisurely enough manner in city traffic to ensure one doesn’t miss out on those important meetings. Push the pedal harder and there is that slight sound of a muffled diesel gruff but on the whole, the Varicor 400 engine does a fantastic job of keeping itself composed. 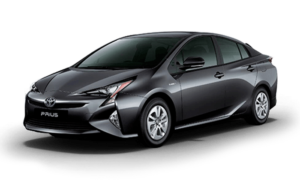 This and the extremely-well insulated cabin ensure that the crudeness of diesel experienced on most cars is disguised. Where the Hexa does lag is in speeds well over three-digits. While getting there is no problem at all, the steering system sends back minor yet very noticeable vibrations – enough to make the slightly jittery driver even more jittery. This was experienced each time the car was taken well past 110kmph in this review. The Hexa equipment list consists of six airbags, ESP, traction control, ABS with EBD, climate control with vents on all three rows, auto headlamps, rain sensing wipers, and reverse parking sensors with a camera. There’s also power mirrors with demister, cruise control, rear sun blinds, an eight-way adjustable driver’s seat (non-electric), a multi-function steering wheel, and a 5-inch touchscreen infotainment system with JBL speakers, to name a few. It does miss out on features like powered seats and keyless go, which is a norm in the segment. There’s no sunroof either, which the rivals offer. In short, manual gearbox variants include XM and XT in six and seven seater options along with the choice of automatic transmissions called XMA and XTA. A 4×4 manual model is also available on the XT variant. This engine is mated to a 7-spveed S tronic transmission which is at the forefront ensuring smooth cog swapping. There are no paddle shifts even on the top-end variant which comes as a disappointment, however one can take control of things by using the tiptronic function on the gear lever. Performance, as you would expect, is nothing short of explosive with every dab on the accelerator pedal resulting in an instantaneous surge ahead with plenty of reserve still left. Power delivery although linear, is still addictive and there is a definite shove in your knickers when you bury your right foot in the floor. Mitsubishi might be a pale shadow of its former self but their greatest hits back catalog still has some prized – and revered – name plates. Lancer, particularly when suffixed with Evolution, will get every petrol heads’ unwavering attention; rallyists in India will brook no trash-talk of the Cedia; and off-road enthusiasts still whisper Pajero in respectful tones. Yet nobody, not even enthusiasts, buy Mitsubishis anymore and the reason is simple: everything is dated, overpriced, burns the wrong fuel and have long since lost relevance to the Indian market. However just when things looked beyond salvage the strongest nameplate in the cupboard has been dusted out, polished and given a fresh lease of life. The Pajero Sport, unlike what the name suggests, has nothing to do with the Pajero, Montero or all those Repsol-liveried, Ralliart-fettled, Dakar-conquering machines – this is a completely different SUV line designed for the rough and tumble of emerging markets. In fact the design, engineering and underlying ethos have more in common with the Toyota Fortuner than any other Mitsubishi. Like the Fortuner which is based on the Hilux pickup platform the Pajero Sport too shares its platform with the Triton pickup. And just like Toyota who have concentrated manufacturing of the Hilux, Fortuner and its derivatives in Thailand (not Japan) to keep costs in check so too is Thailand the mother plant for the Pajero Sport from where completely built up units will be initially imported with CKD operations set to commence in Chennai from September. 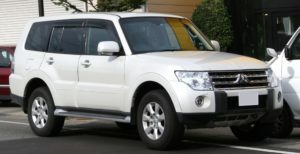 Mitsubishi Pajero Sport is built on the platform of company’s light pick-up trucks which are sold in bulk in Thailand. In fact, the company designers have lifted the nose structure as it is from its rally car, the Pajero Evo. The Chrome plated vertical bar type front grille is integrated adjacently with the projector beam headlamps which come with a functionality of self-leveling. The fog lamps right under the headlamps is a big turn on. The enormous wheel arches on both sides that have 17×7.5 JJ Alloy wheels; go well with the overall front fascia of the SUV. Beneath the front bumper, there is plenty of space due to the enlarged ground clearance of 215mm in the SUV. The Japanese auto-major has executed chrome pretty well with certain sections of the SUV like the chrome-plated power door mirrors and door handles strike the right chord and provide a bit of much needed sophistication and plushness to the SUV unlikely of its stony exterior appearance. Additionally, black roof rails, high-mounted stop lamp at rear, chrome-plated rear license plate garnish, colour-keyed side protector mouldings, etc. are like icing on the cake. Open the heavy door and climb into the car and you will appreciate the build quality of this vehicle, the Pajero Sport showing a lot of solidity. When you close the door, there is a massive thud too and quality levels are very good. The dashboard is nice but there are just too many colours on it, the dash is a dual-tone black and beige unit while the centre console gets wood finish and the centre AC vents gets a silver surrounding. There is no digital climate control on this Mitsubishi which is shocking of course but there is decent amount of kit on offer like projector headlights (for the low beam only), puddle lamps on each door, illuminated key ring, electric driver seat adjustment, leather seats, rear parking sensors, reverse camera, Bluetooth connectivity and a touch-screen audio system with Navigation along with the usual iPod, USB, AUX and CD options. Right above the infotainment screen is a multi-information display (not in the instrument cluster) which displays average speed, fuel efficiency, range, date, outside temperate and elevation. Somethings do look like an after thought in this cabin, like the mic for the Bluetooth and the speaker for the same, it’s exposed, both the mic and the speaker making this look like an after market job. There are plenty of storage bins inside the cabin, the glovebox has good depth (although it isn’t much wide) and it gets a lock too. Other storage areas include a box below the AC controls on the centre console, under the front centre arm rest, two cupholders next to the handbrake, sunglass holder on the roof but there is no magazine pocket behind the driver’s seat. The door pockets are a tad small and 1-litre bottles will be a tight fit on the front doors while the rear doors have been shaped in a way (have an inward scoop) that they can easily take a litre sized bottle. The Mitsubishi Pajero Sport has comfortable seats which coupled with the airy cabin (due to large windows and beige seats) makes this car a nice place to be in for long journeys. The front two rows are high on comfort with the middle row having ample legroom too, it also gets coat hooks next to the grab rails. Under thigh support isn’t a problem in the first row but a bit lacking in the second row and very bad in the last row, where you have to naturally climb in to get in. While headroom is good all throughout, the last row only has average legroom, making it best for children. There is a slight hump in the floor in the second row and there are only two headrests in this row, so it’s best used by two people, making the Pajero Sport a good four seater. Cup holders and storage space is on the right side in the last row. The AC vents are roof mounted and controls are placed in the second row but the master AC switch for the rear is placed too low and out of sight on the dashboard. Boot space is lacking with all three rows up but you can flip forward the second row and flat fold the third row completely to boost luggage space. There is also a power socket in the boot. This model series is available with a commanding 2.5-litre diesel mill that has the displacement capacity of 2477cc. It is based on a double overhead camshaft valve configuration. It has four cylinders that are further fitted with sixteen valves. This mill is integrated with a common rail direct injection system that helps in returning a decent fuel economy. This intercooled turbocharged power plant enables it to pump out a maximum power of 175.56bhp at 4000rpm, which is quite good. At the same time, it yields a peak torque output of 400Nm in the range of 2000 to 2500rpm, which is rather good considering the road and traffic conditions in India. 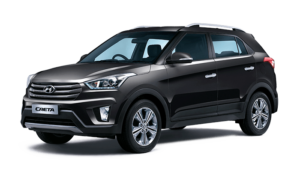 This vehicle is offered with a two gear box options for the customers to select from, which are five speed manual as well as automatic transmission gear box that makes gear shifting quite easier. The automaker is offering this model series with the same diesel power plant that has a common rail fuel injection technology. It is currently available with both manual and automatic transmission gearbox options for the buyers to choose from. Its manual version has the ability to produce a maximum mileage of 13.5 Kmpl on highways, which goes down to a minimum of 11.5 Kmpl under city traffic conditions. However, its automatic version can deliver a mileage in the range of 10 to 12 Kmpl.Its diesel engine comprises of 4-cylinders that further have 16-valves and is based on a DOHC valve configuration. Both the manual and automatic versions have the ability to produce a maximum power of 175.56bhp that yields a commanding torque output of 400NM, which is rather good. The 4×4 vehicle with manual gearbox reaches up to100 kmph speed within just 11 seconds and clocks a maximum speed in the range of 190 to 195 Kmph. The manual variant returns a mileage of 13.5 kmpl on highways and around 11.5 kmpl in city traffic conditions. On the contrary, 4×2 version with 5-speed automatic gearbox has the capacity of breaching 100 kmph speed mark within just 12 seconds and reach up to a peak speed of 190 Kmph. This variant offers a mileage within the range of 10 to 12 kmpl. This giant vehicle is equipped with a reliable suspension system that ensures maximum stability and balance on any road conditions. The front axle is integrated with a double wishbone while the rear one is fitted with a 3-link coil spring type of system. In order to avoid uneven road jerks, this car is loaded with stabilizer bars.Further, 16-inche ventilated disc brakes are mounted on the front wheels, which are hydraulically operated with two circuits. The rear wheels are equipped with a set of 16-inche ventilated drum-in-disc brakes, which are hydraulically operated with split brake. All these features ensure prompt and enhanced braking experience. Not just these, Anti-lock Braking System (ABS) and Electronic Brake-force Distribution (EBD) are featured in this variant for enriched braking mechanism. This utility vehicle is loaded with a torsion-resistant rigid ladder frame for enhanced stability and ‘With on-demand 4WD’ for sure traction. The beams provide added protection to the occupants in case of collision. 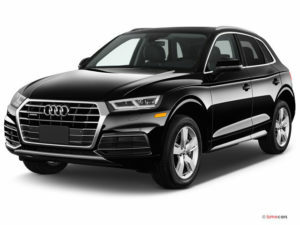 The automaker has loaded this sports utility vehicle with many vital aspects that will offer protection to all its passengers and the vehicle as well. There are dual front SRS (supplemental restraint system) airbags offered, which minimizes the injury in the event of a collision. Its has an extra strong body construction that is built using high tensile steel at crucial locations, which makes it rigid. Another aspects is the electronic engine immobilizer, which prevents any unauthorized entry into the vehicle and protects it from theft. It also includes side impact protection beams and crumple zones, which helps it to absorb jolts caused in case of a collision. This vehicle is integrated with several advanced features like an anti lock braking system with electronic brake force distribution, three point ELR seat belts, collapsible steering column and anti intrusion brake pedals that further enhances the level of security. The Mitsubishi Pajero Sport is by far the most under-rated vehicle in its class. Sure there are issues with the way Mitsubishi and its laid back partner, Hindustan Motors has gone about handling business in the country but as a product, the Pajero Sport is a fine vehicle, deserving much applaud. This vehicle is very well engineered, packs in a lot of comfort and has a visual appeal that shouts SUV. With a good diesel engine under its belly and a terrific ride quality, the Pajero Sport comes across as an excellent alternative in the segment, the automatic version only broadening this two ton vehicle’s appeal even further. 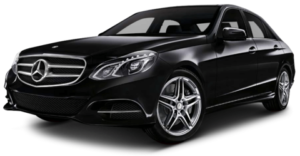 The Mercedes-Benz S-Class is a premium luxury sedan available from Mercedes-Benz in India. It is powered by one petrol engine and one diesel engine options. The boot space volume on the Mercedes-Benz S-Class is 510 litres for the petrol and 530 litres for the diesel and the fuel tank capacity is 70 litres. It has a turning radius of 12.3 metres. The sedan is available in four exterior colour options, Polar White, Obsidian Black, Iridium Silver and Palladium Silver. The Mercedes-Benz S-Class is available with two different 19 inch alloy wheel designs and is available with a Burmester 3D surround sound infotainment package as standard. The new Mercedes Benz Maybach S600 Guard looks exactly the same like the existing S Class variants, but with some minor differences. Only a keen eye will be able to notice the exact difference. As we can see, its external appearance is gracefully designed with splendid build quality down to the closest detail. It is pretty long, wide and reasonably low in height that expresses the royalty from all frames. Further adding to its appeal is the expressive lines that stretches from the front to the rear end through the door panels.While its coupe and sedan versions look completely different from each other. The coupe trims are designed with two doors, and have sleek, bold and stylish body structure as compared to other trims. However, its AMG version looks sportier than the regular variants, thanks to its exclusive package featuring bumpers, alloy wheels, a distinctly designed radiator grille and extensive black accents as well.To start with the front, it has a beautifully sculptured signature grille with thick chrome surround. It is accompanied by the company’s emblem positioned on top of the hood.On either sides of the grille, there are large headlight clusters featuring adaptive bi-xenon headlamps along with LED daytime running lights. By the sides, its fenders are mated with stylish set of alloy wheels that adds grace to the facet. The outside mirrors have a neat, clean design and comes integrated with LED turn blinkers.Coming to the rear section, it has a large tailgate with U shape that is decorated with chrome accents. Surrounding this is the distinctly crafted taillight cluster that is integrated with innovative LED light pattern.The overall look is simply magnificent that can grab attention of any automobile enthusiast. The cabins of most flagship luxury cars feel like bigger, fancier versions of “lesser” models, sharing a general design aesthetic and many control components. Not so the 2017 Mercedes-Benz S-Class. Even though the new E-Class has borrowed a few design cues and controls, the S-Class remains a special car that exists above the rest. There is an elegance and sense of opulence that make it feel more like a competitor for a Bentley than a BMW. Beyond aesthetics, few cars can approach the new S-Class’ comfort and infotainment features. The standard seats are lovely, but we recommend the Premium package’s multicontour seats with their additional adjustments, ventilation and six massage settings. That’s right, six. One even simulates a hot stone massage by utilizing the seat’s heating elements. And just in case your rear passengers are the jealous sort, the same opulent front-seat features (including their adjustments) are available in the sedan’s enormous backseat. Plus, you can add an entertainment system, airplane-style pop-out tables and even a fridge. Those aren’t available on the coupe and convertible, but even their backseats are generously sized for a two-door car. Plus, the coupe’s lack of side roof pillars provides a wide-open, windows-down driving experience that few other cars can match. You’ll also find the convertible’s top-up or top-down driving experience impressively serene, especially with the standard Aircap wind deflector raised.All of the S-Class’ many infotainment functions are controlled by the latest iteration of Mercedes’ COMAND system, which is reasonably user-friendly given the immense number of functions it’s tasked with. Just make sure to spend a lot of time trying things out and asking questions of your Mercedes salesperson or dealership concierge. The trunk, as you might expect from a 17-foot-long sedan, is sufficiently large at 16.3 cubic feet. Note, however, that the available 24-speaker Burmester high-end sound system “significantly” reduces trunk space, according to Mercedes. The S550e plug-in hybrid also has a smaller trunk (12.2 cubic feet) because of its battery pack. The coupe’s trunk is on the small side for a coupe, especially such a large one, at 10.4 cubic feet. The Cabriolet is a bit better at 12.4 cubes, but it’s reduced to 8.8 when the roof is lowered. The drivetrain department boasts more changes than any other area. Specifically, Mercedes-Benz just introduced two brand-new engines. The U.S. lineup will now include the S450, which uses a biturbo, 3.0-liter V-6 that cranks out 362 horsepower and 369 pound-feet of torque. Given that the outgoing lineup begins with the S550, the S450 will become the new entry-level model in North America. A 4Matic version with all-wheel drive will also be offered.Speaking of the S550, it was replaced with the S560. Along with the name change comes with a new drivetrain, as Mercedes dropped the 4.7-liter V-8 in favor of the smaller, twin-turbo, 4.0-liter unit. Rated at 463 horses and 516 pound-feet, it’s 14 horsepower more potent than the outgoing powerplant, but at the same time, it consumes about 10 percent less fuel than its predecessor. To lower the fuel consumption, four cylinders of the new V-8 are deactivated simultaneously under partial load with the help of the CAMTRONIC valve-lift adjustment system. This reduces gas-cycle losses and enhances the overall efficiency of the four firing cylinders by shifting the operating point towards higher loads.In Europe, the existing V-6 diesel was replaced by the company’s new 3.0-liter inline-six. This new mill cranks out 282 horsepower and 443 pound-feet in the S350d (a 27-horsepower increase and 14-pound-foot decrease) and 335 horses and 516 pound-feet in the S400d. The latter is the most powerful diesel Mercedes-Benz ever. Silky smooth would be the best way to describe the new S-Class’ performance and handling on road. Occupants are brilliantly insulated from the external influence such as wind or tyre noise, rough asphalt, etc. The S-Class just simply glides over virtually any road surface without letting the occupants know what’s underneath. It continues to provide a ride you’d expect from a top-notch premium luxury sedan. The compliant suspension ably cancels out road imperfections while also keeping body roll in check. The V8 powertrain in the S500 (our test car) doesn’t really give the driver anything to complain about except for the fact that top speed is electronically limited to 250 km/hr. The S500 uses a 4.7-litre V8 petrol engine with 449 BHP of power, doing 0-100 km/hr in 4.8 seconds. However the variant most relevant to India is the S350, which uses a 3.0-litre V6 diesel engine. The BlueTEC mill offers 255 BHP of power, enabling a 0-100 km/hr sprint in 6.8 seconds. Performance is effortless and you simply exercise your right foot to gather quick momentum. All engines are Euro 6 compliant and are mated to a 7-speed automatic gearbox. Not that it matters much but fuel consumption has reduced and the new S-Class is more efficient than its predecessor. ECO start/stop function is standard across the range. Just like before, ride quality is superb and the car’s air suspension combines smoothness with complete control and utter stability as you waft along faster than you think. The electro-mechanical steering is reasonably fluid, linear, predictable and surprisingly quick for such a long wheelbase car. It takes a few kilometres of driving to get used to it as the car may turn more than you anticipated given the amount of movement on the steering wheel. The overall impression is that you get that stately luxury car feel without feeling overly isolated from the driving experience.Of the new technologies offered, on the move, the car’s ability to detect bumps on the road ahead and adjusting the chassis in a blink of an eye was most impressive. The Mercedes S-Class detects such unevenness by means of the stereo camera which sets up the suspension in advance to deal with the situation, in practical purposes, you can drive over a speed hump at 40 km/hr without even noticing it. The braking capacity of this car is unique and thumping. It is loaded with exceptional safety features that avoid accidents. An inbuilt technology responds before the danger comes and protects the driver or passengers from any mishap. The safety aspects are truly brilliant as the Mercedes-Benz looks ahead to future for higher safety measures. It is packed with optional and standard safety functions that alarm the driver and eliminates the chances of collisions.